appy New Month guys!!! Wow!!! It's another wonderful month. I'm sure September is going to be a great and productive month. So, our highly anticipated album is here. 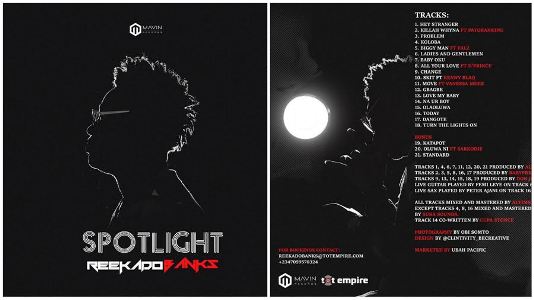 Our one and only Reekado Banks, the Mavin artist released Spotlight following his album listening party at the Hard Rock Cafe last night. The 21 track album features Patoranking, Falz, D’Prince, Kenny Blaq, Vanessa Mdee and Sarkodie. The album was produced by Altims, Babyfresh and also the Don himself, Don Jazzy for Mavin Records. Spotlight is available on iTunes and Apple Music.